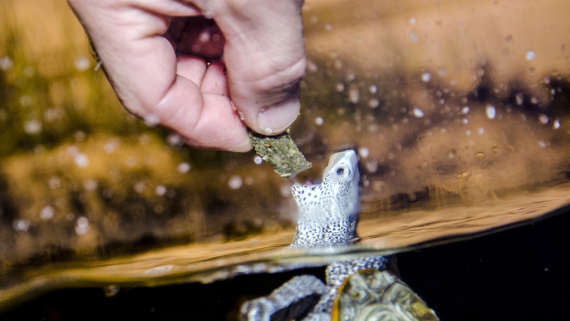 You may have heard about all of the cold-stunned turtles rescued off of North Carolina’s coast in early January. 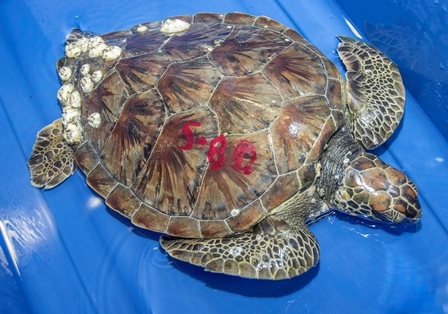 There were as many as 600 sea turtles in need of help after becoming cold-stunned. 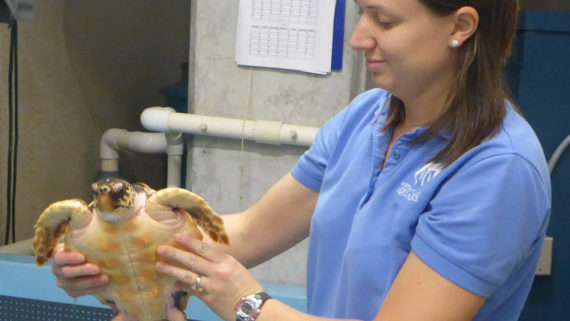 The NC Aquarium at Fort Fisher is lending a helping hand to the sea turtle rescue efforts by caring for 11 sick sea turtles. Because sea turtles are reptiles, they cannot control their own body temperatures like you and I can. This means when it gets cold, they need to swim to warmer water areas like the Gulf Stream. When the water temperature drops , becoming very cold really fast, it can cause many sea turtles to become cold-stunned. These sick sea turtles cannot move easily or warm themselves up, so they could easily become prey to another animal or die from other illness or infection. 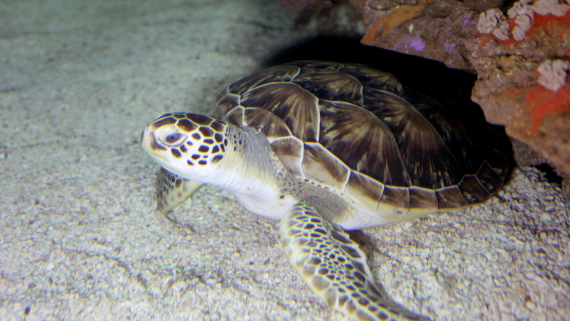 The 11 cold-stunned sea turtles the Aquarium is helping are all juvenile greens. 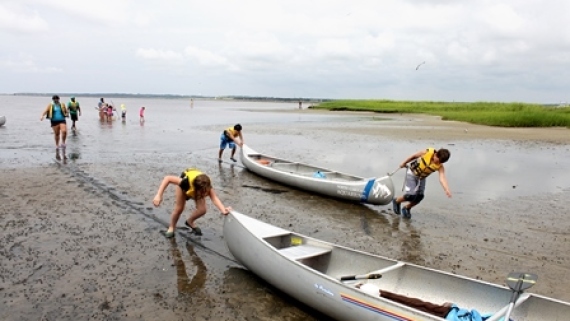 Most of them were located far north of our beach, near Cape Lookout and beyond. 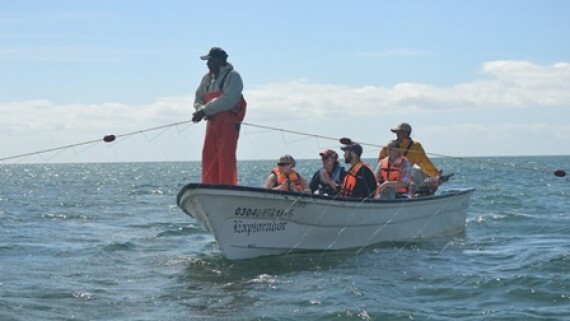 They are being monitored closely by our staff and will take time recovering before they are returned back into the ocean. While in our care they receive special diets, antibiotics, and close monitoring. 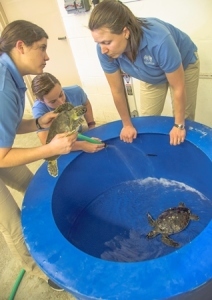 Like last year, the Aquarium is offering unique sea turtle rehab behind-the-scenes tours. You can check for these tours online here or at the Aquarium’s Visitor Services desk. The Aquarium receives no additional funding or staff to assist in the turtle care. 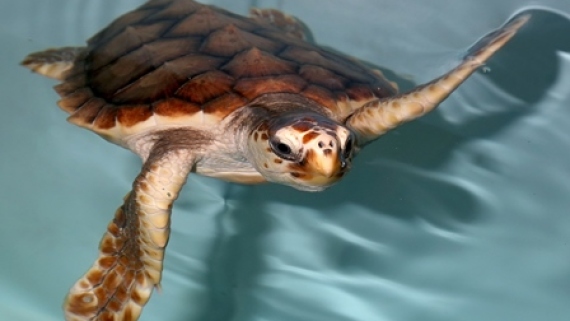 Anyone interested in making a donation to assist in the care and rehabilitation of the sea turtles may contact (910) 772-0500 or visit https://ncaquariums.com/livingtreasures/. Anyone who finds a sick, injured or dead sea turtle should contact the N.C. Wildlife Resources Commission Sea Turtle Stranding Network at (252) 241-7367. While Aquarium staff continue to care for our visiting sea turtles, they are also still continuing to measure our growing loggerhead hatchlings. 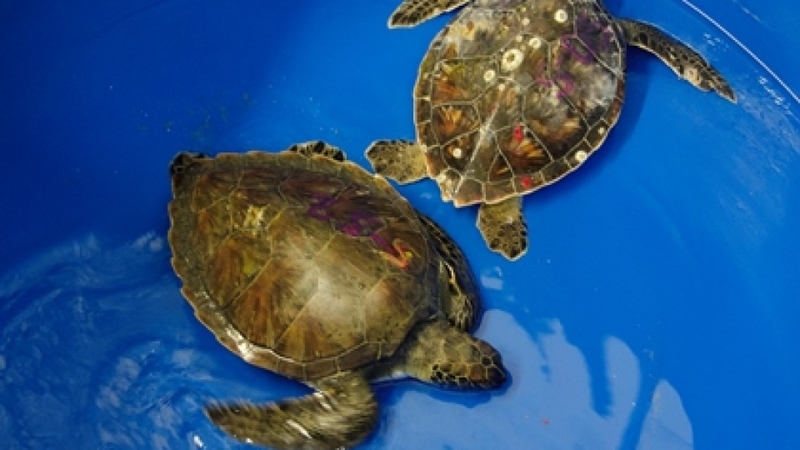 This week Turtle A is 15.6 cm long and weighs 594 grams and Turtle B is 14.7 cm long and weighs 540 grams. Not sure what to do with this weight and length? Learn more in our Hatchling to Yearling lesson plan.